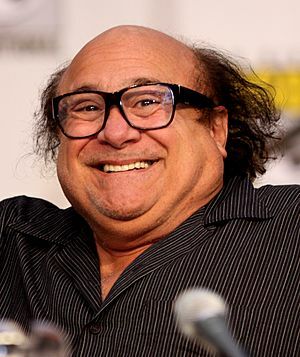 Daniel Michael "Danny" DeVito, Jr. (born November 17, 1944) is an American actor, comedian, director, and producer. He has starred in and directed a number of motion pictures. DeVito is of Italian descent. He was born in Neptune Township, New Jersey and grew up in Asbury Park, New Jersey. Danny DeVito Facts for Kids. Kiddle Encyclopedia.